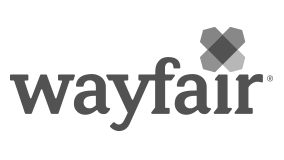 At their core, Business Intelligence Analysts at Wayfair are strong in quantitative analysis, enjoy coding but also want to balance that with their interest in business. They think critically to tackle complex challenges, thrive in a fast-paced environment and are seeking a high-growth opportunity where they will have an immediate impact on day one. There are significant opportunities for new team members to emerge as leaders, taking on additional projects and responsibilities with strong performance. Each analyst is aligned with a line of business either focused on Marketing, Merchandising, Operations, Finance, Sales + Service or our core website. Whether you’re analyzing customer behavior and trends, developing new recommendations, or constructing SQL queries, you will be working with cutting edge technology and multi-terabyte datasets. Act as the subject matter expert for data, analytics, and testing within a business unit to ensure accurate and proper interpretation of core business metrics and consumer behavior. Bachelors or Masters in Computer Science, Computer Engineering, Analytics, Mathematics, Statistics, Information Systems, Economics, or other quantitative discipline field with strong academic record. Coursework or experience with SQL or other structured programming language(s) (e.g. Python, Java, C); Experience with Excel (pivot tables, vlookup, etc. ) and Tableau a plus. We offer a fun, dynamic, ad diverse work environment where casual dress is encouraged and corner offices—or any offices—are nowhere to be found. Everyone is a hands-on contributor and empowered to take smart risks, embrace ownership, and take every opportunity to grow personally and professionally.